With several subsidiaries, complex reports, multiple devices, deadlines to follow up… having a centralized and detailed vision of your guarantees is a real challenge for the whole group. The Fairways Guarantees solution in SaaS mode enables you to monitor all the guarantee information via an ergonomic interface. Share in real time the data and communicate continuously with your co-workers (treasury, legal, acquisitions, accountancy…). Implemented in only a few weeks, the solution offers you an all-round visibility and a controlled management of your financial risks in order to meet your deadlines. Rapidity, agility and efficiency… Thanks to Fairways Guarantees, you can say goodbye to Excel sheets and hello to a perfectly controllable guarantee management. Manage the guarantees in your group, win time and increase your efficiency thanks to our dedicated solution. 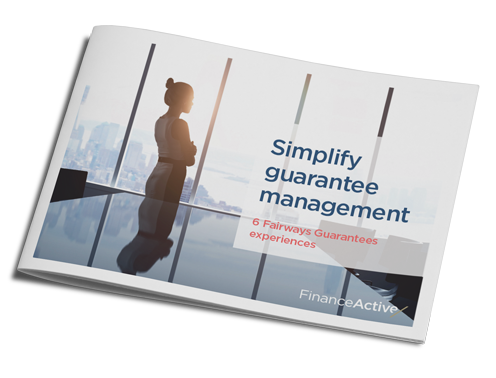 Areva, Suez, EDF… Six major groups took the plunge and chose Finance Active to be their guarantee management partner. Download our e-book and discover, throughout the different business cases, all the challenges the companies have faced and how they were conquered by our dedicated solution.